"It is utterly immoral that the Trump administration treats one group of friendly businesses, the fossil fuel industry, as more valuable and deserving than all others," he said. 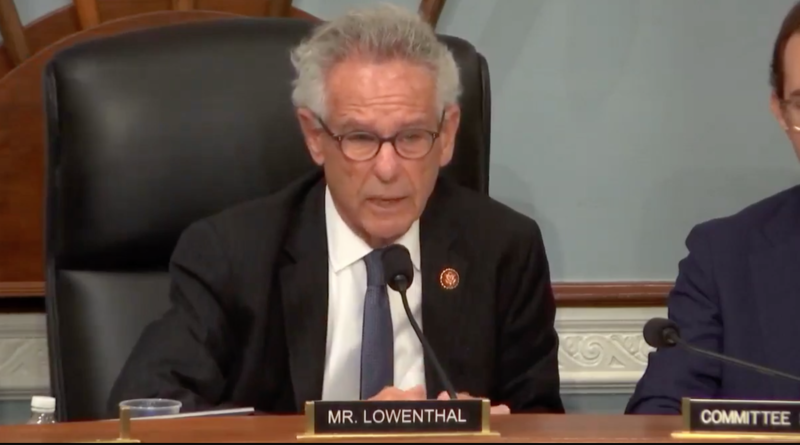 California Congressman Alan Lowenthal introduces hearing. 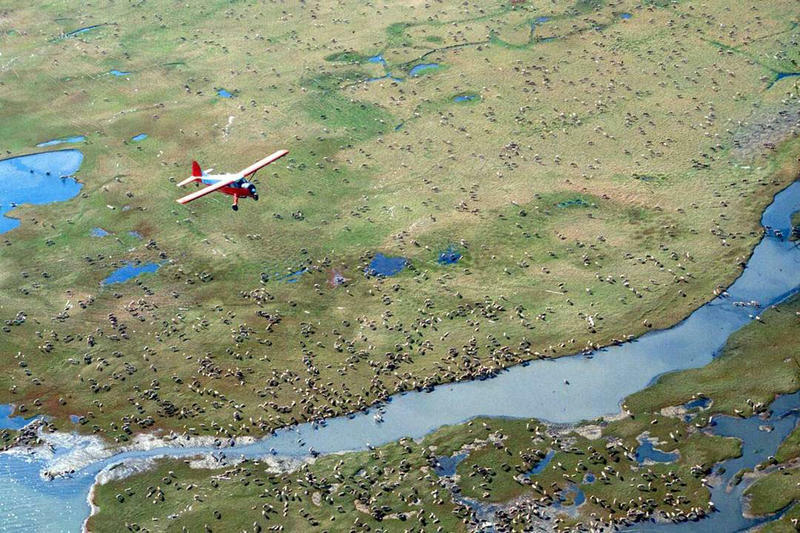 The hearing pondered legality, impacts to public lands without public input, and whether the Interior Department has become a favor factory for special interests. Committee Chairman Raul Grijalva said there will be litigation over this. "Somebody has to answer as to how you went about prioritizing what you did and health and safety, the public, became secondary, protection of public assets became secondary," he said. Kelly Fuller, the energy and mining campaign director with the Western Watersheds Project, a conservation non-profit, agreed. "It doesn't make any sense at all to folks outside the government that are looking at this," she said. Fuller said past shutdowns have not done this. During the 2013 shutdown over Obamacare, the Bureau of Land Management (BLM) wasn't able to process about 200 applications for permits to drill. It doesn't make any sense at all to folks outside the government that are looking at this. "Clearly, it wasn't truly essential. This is just a made-up excuse right now to serve the oil and gas industry," she said. The BLM is processing permits to drill but not doing environmental reviews. And Fuller is concerned that leasing on public lands might go ahead without specialized analysis for wildlife or archaeology. Even so, she said the BLM is accepting more and more permits to begin drilling. That number is now well over 200. Fuller said that's unacceptable. "Because one of the problems that's happening right now is with this oil and gas permit processing during the shutdown, the oil and gas industry is not shut out, but the public is," she said. "Due to a lapse in funding of the federal government budget, we are out of the office. We are not authorized to work during this time but will respond to your message when we return to the office," the voicemail goes at the Casper BLM Field Office, which is one of the open field offices here in Wyoming. To reiterate, oil and gas permit processing is considered an exempt activity, according to the BLM. Phil Flynn, an oil and gas analyst with the PRICE Futures Group, acknowledged communication may not be as simple as normal, but that the BLM is still partially open. He said he understands why the Trump Administration considers oil and gas permitting vital. Flynn said the first reason is economics. "It's a big part of the gross domestic product, if the industry slowed down it would slow down the economy," he said. And it's a part of the economy the Trump administration has been working to increase, under the president's energy dominance philosophy. The interior department has boasted huge gains in oil production. And upcoming lease sales in February and March are offering unprecedented levels of new acreage. Much of that is coming from public land in western states like Wyoming. But Flynn said energy dominance isn't just a phrase. It's about national security. "I think there's a belief in the Trump administration that being one of the world's biggest oil producers gives us more security from countries that in the past tried to use oil as a weapon against our economy," Flynn said. But is paying federal workers to process drilling permits allowed in a shutdown? Christopher McKnight Nichols, a historian at Oregon State University, said the federal guidelines are vague and shutdown decisions can fall prey to politics. "They're allowed to keep things going that are deemed necessary, and this is the interesting question about oil and gas for instance, why is there continued permitting for drilling?" Nichols said, "that does not seem necessary. But the administration can keep a case that it is and therefore keep things going." Nichols said it's not unusual to see this level of politics thrust into shutdown decisions. But he said it is surprising to see so many other federal programs falter, while oil and gas chugs along. In an email, a Bureau of Land Management representative wrote the agency is not prioritizing permit processing over its other work and that its actions are consistent with the agencies contingency plan for the shutdown. With a temporary reopening of the government, changes to the process for BLM and other agencies is still unclear.